Many Android users cant account how their data bundles get exhausted within a short period of time, yet no heavy downloads or streaming was carried out. Well all i can say for now is maybe thats the price you pay for being an android user lol... Nevertheless am going to introduce a small App called Onavo count |Data usage. Onavo Count is a stunning app with intuitive reporting to help you understand how you use mobile data. It also lets you compare how much data you use in specific apps. 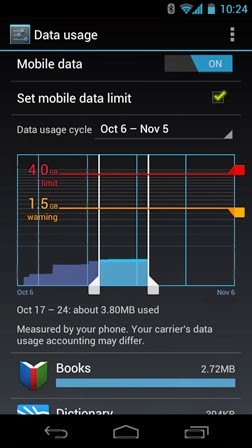 With Onavo Count you can set a warning for a certain amount of mobile broadband use in your billing cycle, such as 1.5 GB if you have a 2 GB plan. You can download Onavo Count App here. If you wish to squeeze more bits from your data plan, then tryout Onavo Extend | Data savings is just for you. What i mean is Onavo Extend | Data savings compresses data so you can surf online more by using less data. For More Info Like our Facebook page http://facebook.com/netinfong and Subscribe to our Daily Mails. Oga Chris, pls when are we expecting our unlimited browsing?